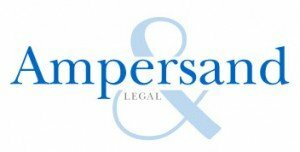 Ampersand Legal was founded in 2015 by two leading law firm merger experts to provide a professional, consultative and confidential service to the 11,000+ law firms in the UK. Viv Williams is well known for his strategic advice and is a regular speaker on the issues affecting firms. As well as helping firms, Viv is a trusted adviser to the Banks and Insurers who operate in the legal market. Andrew Roberts is very experienced at researching the market to select the right merger partner and then using his insight and familiarity with deal structures to facilitate the process through to a successful conclusion. Between them, Andrew and Viv have been responsible for over 120 law firm mergers, working with firms of all sizes, locations and specialisms. If your firm is considering merger, acquisition or sale, please contact either Andrew or Viv for an initial confidential discussion about your options. A law firm merger is a “bet the farm” deal and needs meticulous planning and execution. The first element is to keep your plans confidential. If competitors hear they will quickly take advantage of any uncertainty to poach key clients and staff. Using Ampersand Legal negates this possibility because the first approaches we make are always anonymous and all subsequent stages protected by NDA. A merger is the biggest transaction your firm will ever complete and the biggest risk it will take. By instructing Ampersand Legal you are guaranteeing the best chance of success. Law firm merger specialists working with firms of all sizes throughout the UK.